Color. It forever surrounds us and is present in almost every second of our waking lives, however, very few people realize what a profound influence color has on our on our minds – shaping our likes, dislikes and crucially, our choices. The large role color plays on our choices holds equally true in the physical and digital world. But it’s the latter that is going to be the topic of discussion for this article. In this article we’re going to dive deep data about how much of an impact color really has on our choices when shopping online. We’ll provide real life case studies to support our assertions, and finally, give some actionable guidance on how you can better utilize color in your business. Armed with this actionable insight and knowledge, you’ll be able to wield the power of color more masterfully. The time is now to use the right colors on your site in the right places and ways to drive more conversions. How Big Of A Role Does Color Really Play In Buying Decisions? Needless to say, color is a big deal. We know, it’s all good and dandy, us giving you loads of stats that say color strongly correlates with buying decisions and, thus, conversion rates. However, we understand that nothing will drive the fact home more than you seeing some real life examples of companies that have produced large conversion increases as a result of color changes on their site. So with that in mind, let's cut to the chase. As reported by Hubspot, Performable changed the color of their main CTA (call to action) button which led to a 21% increase in conversion rates. All other elements on the page were held constant, only the button color was changed. Similarly, as reported by VWO, Ript Apparel changed their CTA button color from green to yellow, resulting in a 6.3% increase in sales. Additionally, a test run by company DMIX tested both green and red CTAs on 600 subjects, finding that using the red button caused a conversion increase of an astonishing 34%. Yes, you read that correctly. An example from the offline world that really crystallizes the tremendous effect that color can have on sales is that of Heinz. As reported by ColorCom, when Heinz changed the color of their signature ketchup from red to green sales went through the roof. They sold 10 million bottles within the first 7 months of the change, resulting in $23 million in sales. At the time it was the single largest sales increase in the company’s history. So we’re sure after seeing the above data and case studies you are convinced that color truly does have a big impact on peoples purchase decisions. Now, you may find yourself, and rightly so, wondering – how can I better utilize color to increase the conversion rates on my eCommerce site? This might sound odd to most in the context of this article, especially to those that expected us to dive into a list of colors and what they mean. But bear with us and allow us to explain. Different types of people are influenced by different colors in different ways. This fact is acutely evident when looking at the above case studies. 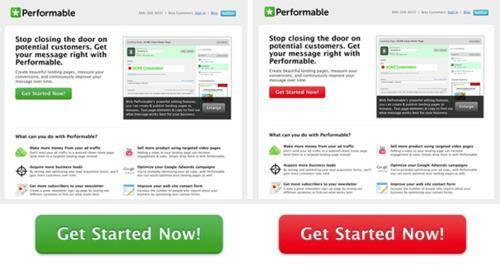 Namely, for Performable, it was changing the CTA button from green to red that led to an uplift in conversions. But for Ript Apparel, it was changing the color from green to yellow which led to the uplift. 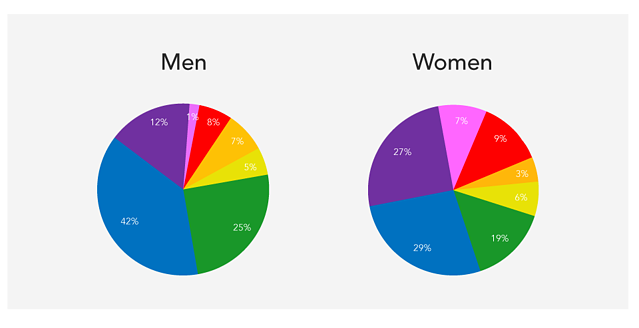 To explore this idea further, research by Joe Hallock shows that men and women have an affinity and attraction to different colors. Women have a strong affinity to blue, purple and green, whereas for men it’s blue, green and black. The difference is subtle but significant. 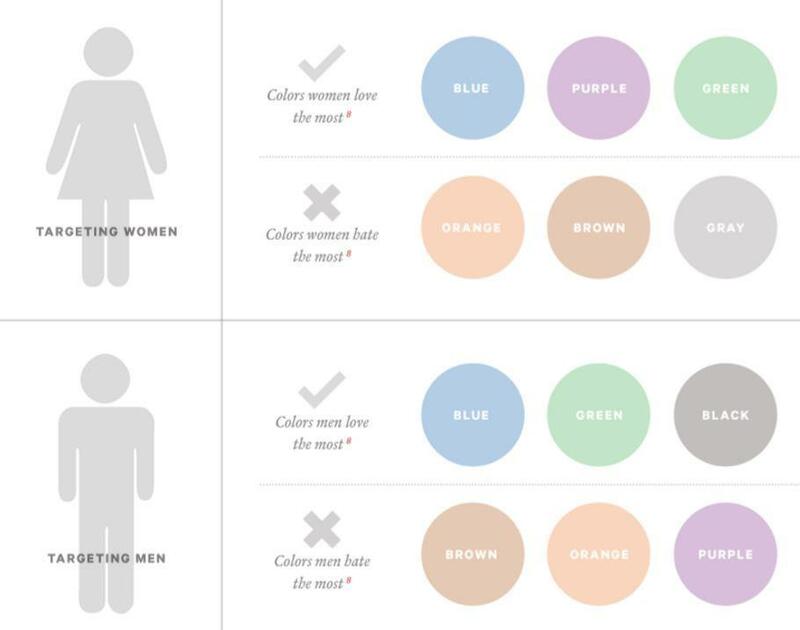 This gender difference in color preference is also supported by research from Philip Cohen at the University of Maryland, who surveyed two thousand people of both genders, asking what their favorite color was. The results are below. What this shows is that there is no “one size fits all” set of rules that link specific colors to increased conversion rates. Even if there somehow were, then all eCommerce sites would be the same colors to capitalize on this. Consequently, those colors would soon cease to have the same positive effects due to peoples over exposure to them diminishing the returns. There are, however, colors that broadly work better than others for different industries and demographics. By strongly defining your target market/demographic you can then find out which colors align with it most closely. There is no hard and fast rule and the color scheme that is most effective in driving conversions will largely be dependent on your target demographic and industry sector. When it comes down to it, different colors influence different people. However, there are a generally understood and accepted set of colors that are worth knowing and exploring within. Almost all color combinations that will yield increased conversions for your site, no matter the target demographic or industry, will almost always adhere to some color theory principles. These principles are based on extensive research, and many of them underlie human psychology. It’s worth knowing them to better understand why a specific color or color combination is having a positive or negative effect on purchase decisions. 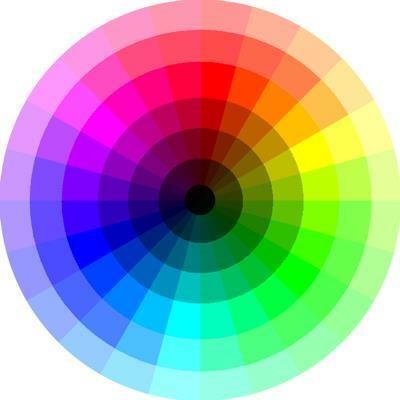 There are many resources online to learn color theory, both free and paid. Here are some you can check out from CreativeBloq, ColorMatters, and LifeHacker. 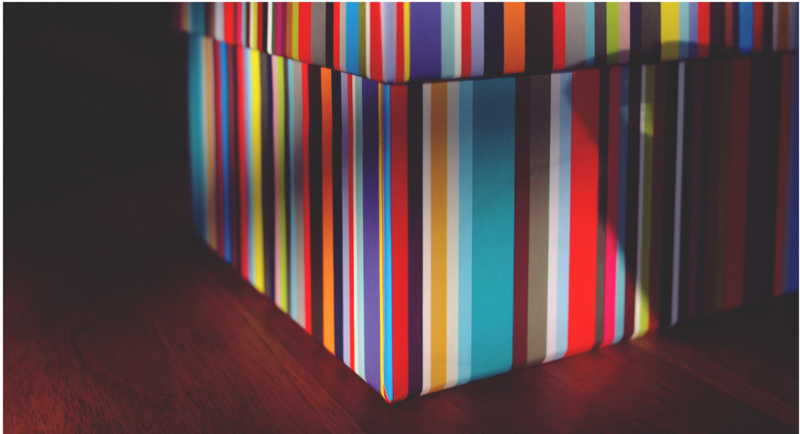 Related to color theory is color psychology: We highly recommend learning at least the main tenets of color psychology, as they will help you understand how specific colors impact mood among different demographics. Mood and emotion are correlated with conversions due to the fact that a lot of purchase decisions are emotionally driven. Even the ones that are traditionally not emotionally driven have some emotional element in them. 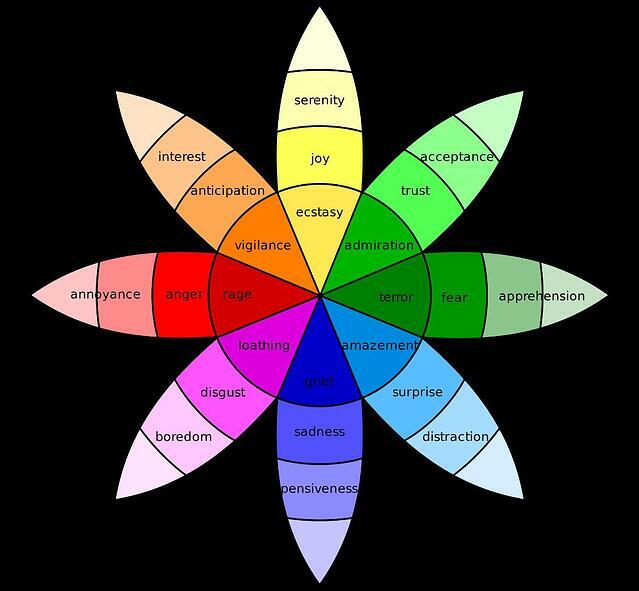 Check out Robert Plutchicks Wheel of Emotions, which eloquently lays out the correlation between different colors and emotions. As has been stressed several times, when it comes to which colors increase conversions, there are, unfortunately, no hard and fast universal rules. The color changes that will lead to an increase in conversions for your eCommerce site will be largely dependent on your target audience’s demographic profile (age, gender, occupation, ect.) as well as the industry your company is in. It is, therefore, evident that in order to find out which colors work most effectively for your business, you will have to test a number of different colors and color combinations to see which drive behavior. We won’t waste any time here extolling the benefits of A/B testing as we are sure you already know them, but we would strongly suggest this testing method when running your color tests. Why not run the A/B tests first I hear you ask? Well, once you have established the target demographic and understand color psychology, then you can conduct a more narrow range of tests that have the best chance of yielding positive results. This way, you will run tests based on research specific to your target market. Of course, there is nothing stopping you from running tests outside of your research. As has been shown in our case study section of this article, you never know which colors and color combinations may work well. Sometimes, it can be the ones that you are least expecting that increase conversions. This article started by explaining that color influences people’s decisions and thus your site's conversion rates. We supported our explanation with hard stats and then went onto present a number of real life case studies from other online companies that increased their conversion rates as a direct result of color changes to their site. Check out this article to learn about more elements you can implement into your website to improve its conversion rate and user experience.